Buying this will earn you 9 MongoMoney worth €9! The first digital sampler for the rest of us: the Mirage defines an era of popular access to sampling technology • Thick, warm, gritty sounds from 8-bit DACs and a tiny 128kB of sample storage • Entire Ensoniq factory soundset: 179 original Mirage patches, plus custom Multis: Splits to recreate original keyboard splits, and Layers to take the Mirage sound in whole new directions • Extensive control set gives you the option to sculpt the sounds; or click “Vintage” to restore authentic 1984-compatible settings! The Ensoniq Mirage was a landmark machine in the history of sampling. Before its release, sampling was strictly the purview of the very well-heeled musician: a Fairlight Series II cost £30,000 (the price of a house); a Synclavier would set you back between $25,000 and $200,000 (yee-ouch); and there were no alternatives. All that changed in 1984. 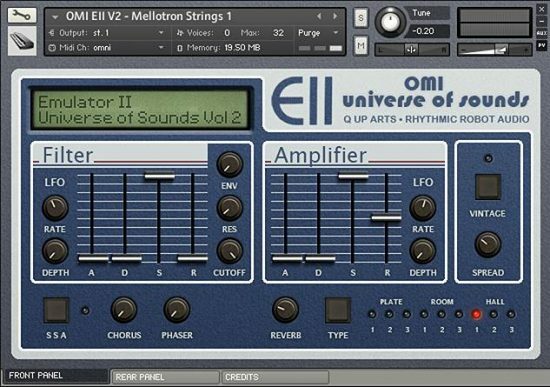 Two astonishing machines hit the market more or less simultaneously: the superb Emulator II snuck it at just under $10,000 and captured the hearts (and wallets) of mid-range studios and musos who wanted in on the sampling action but couldn’t stretch to a Fairlight. But if it thought it was going to steal all the limelight, it was wrong – because elbowing its way into the party like a scrawny punk rocker who no-one invited, here comes the Mirage. The Mirage was a lean, aggressive bid to make sampling available to ordinary people. There were no light-pens, no CRT screens, no Fourier waveforms, no sweeping blue cases adorned with sliders and LCD displays. Every single element was cut back to the bone, the bare minimum, in order to fulfil the goal of getting a sampler into the hands of players for under a couple of grand. This led to some pretty stark compromises. The 8-bit Mirage sported a teeny-tiny 128kB of sample memory, which was permanently split into two 64kB chunks devoted to each side of the keyboard. (Why?) It could, at its maximum 33kHz sample rate, store just 2 seconds of sound per keyboard half. There were no upgrade options. Its only display was a 2-character LED window, which displayed (in a flickering amber light) arcane and inscrutable hexadecimal numbers which – when decoded – told you what parameter you were editing. Perhaps. The Mirage manual came with a handy tear-out-and-laminate reference sheet, which you were more or less obliged to stick onto the front of the instrument in order to be able to understand it. It was a pig to program and its on-paper specs make it look laughably, appallingly limited by today’s standards. All that said, though… it really did change the world. 16-bit companding DACs and 100kHz sample rates were all very well, but this was a thing you could actually buy. What’s more – it sounded fantastic. The earthy edge of the Mirage’s raw, 8-bit output, and the need to reduce sample rate (sometimes down as low as 10kHz) to squeeze more time out of that measly 128kB lent it a thick, warm sound with a particularly rounded and filled-out bass end. 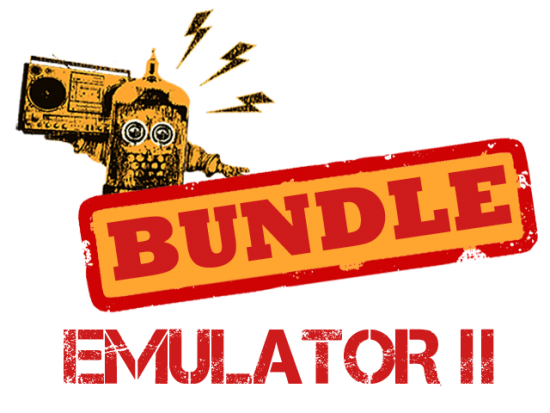 It has, to our ears, more in common with machines like the Akai S900 and S950 (both 12-bit) than the Emulator. The warmth also comes from the Mirage’s analogue filter, which plays a vital role in giving the machine its expressive playability. And finally, Ensoniq really did a job with the factory library, honing every sound to get the very best from the limited resources at their disposal. So although programming a Mirage is a bit of an exercise in masochism, playing one is just a joy. The string patches soar and sweep; the basses are rich and grounded; the synth sounds have grit and girth to them; drums have a wonderful crunchy, almost vinyl, dirt. This is above all an instrument with character. Our Sahara version samples, in forensic detail, the entire Mirage factory soundset – an epic undertaking which we’ve completed with the blessing of Syntaur, the company who now hold the exclusive right to license these sounds. As with our previous Emulator II UOS project, we’ve been absolutely fastidious about capturing the true sound of the instrument. We worked with a reconditioned hardware Mirage, and sampled every note of every patch; whenever necessary, we sampled at multiple velocity layers as well, to capture the action of the analogue filter or to mimic precisely how the Mirage’s envelopes behave. The result is a set of factory patches whose raw sound is as close to having a real Mirage as you can get without having to learn hexadecimal. Because of the Mirage’s peculiar “64kB per keyboard side” architecture, many of the factory patches were originally splits, with one sound loaded on each side of the keyboard – a configuration that also made good sense for live playing. We made the editorial decision to break out the individual sounds and extend them over the full MIDI range, which we feel is far more musically usable. These original factory sounds form the main part of the Sahara library – 179 of them in all. But if you want an authentic Mirage experience, we’ve also included a number of Split Multis which recreate some of the original splits, just as they exist on the hardware. In addition to these there are some non-authentic but awesome-sounding Layered Multis, which graft several Mirage patches together, add effects, and generally bring the machine into the 21st century. The result of many hours of delight (these were such fun sounds to work with! 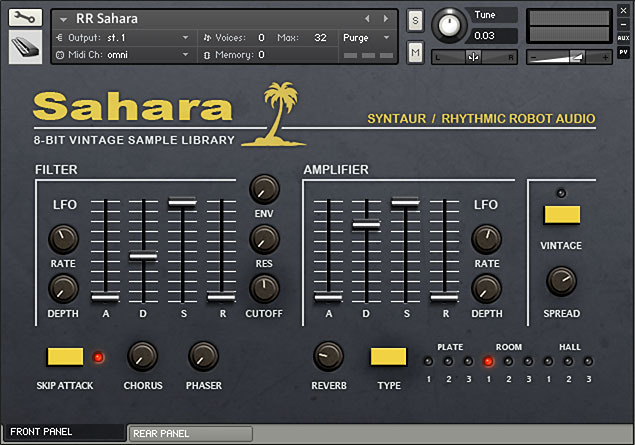 ), Sahara is the Mirage recreated and slotted neatly into your DAW. 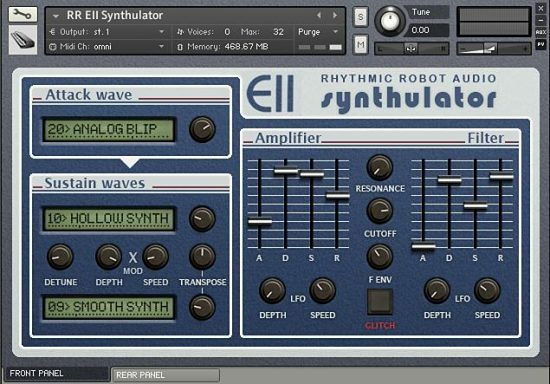 It will bring you raw and muscular bass tones, thick and gritty drums, and warm surges of synthesiser goodness – exactly as it first did in 1984. 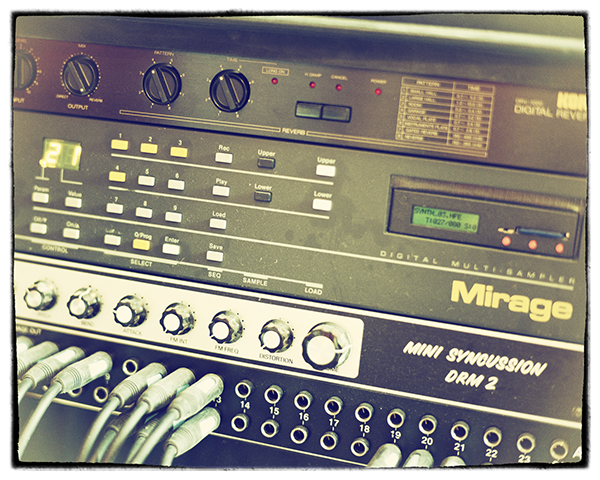 The Mirage brought digital sampling to the masses for the first time… and what an amazing thing that was. Step back in time and join the revolution! This is a big, big set of instruments. As such, we’ve partitioned the download into 7 x 1Gb files, so when you receive your download link email, it will include links to seven separate .zip files. If your internet connection is on the slow side, you’ll get better performance if you download these one at a time rather than setting them all going at once. Once the decompression has finished you’ll find a folder with the original Mirage patches, plus folders for the Layered and Split Multis. You’re all ready to enjoy! (All our Kontakt instruments require a full copy of Native Instruments Kontakt v4.2.3 or higher (including all versions of Kontakt 5). Kontakt Player is not supported: instruments will load, but will time out after 15 minutes. See the FAQ for further information.) You can read more about the original hardware Ensoniq Mirage here. When the Mirage came out, lots of bedroom composers were ecstatic, because sampling was previously beyond their budgets, but professional composers were a little bit dismissive of the sounds and the sampling quality. I think the bedroom composers were actually right. There are some very usable sounds in this library, especially if you want to create something that is period accurate. The ability to wrangle these sounds in Kontakt takes away the pain that was the original machine’s user interface. Now, you can enjoy the sounds without the frustration of having to navigate the universe via a very small number of controls and a letter box display. Don’t expect crystal clarity. The subtle dust and noise adds a smooth sheen to the sounds, making them sound distinctly old school. When every other sample library in contemporary use is “epic”, with overblown drums, voices and orchestras, making every composition sound the same ole, same ole, putting something minimalist in your compositions can really introduce a useful contrast. Give it a go.